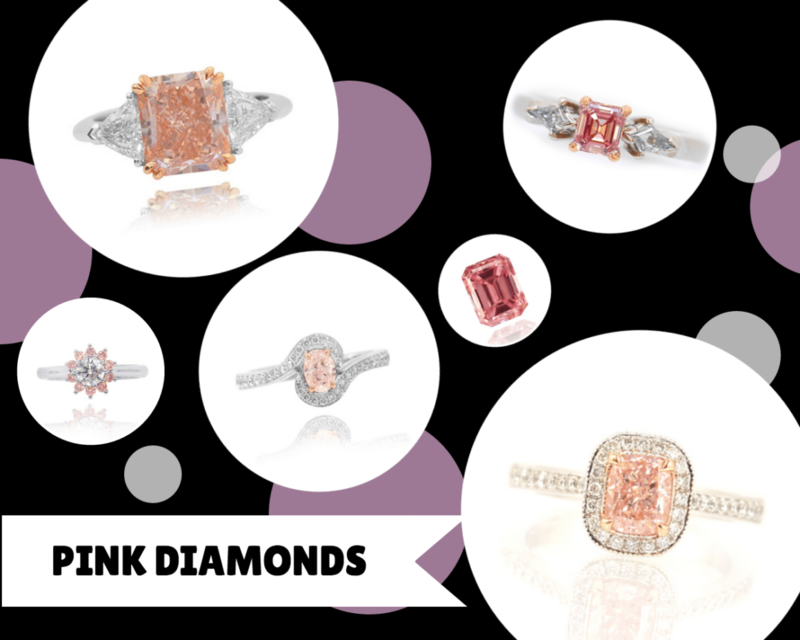 Everything you need to know about pink diamond engagement rings from our guest writers at Leibish&co. Buoyed by a perpetual presence on the red carpet and the ability to educate oneself on the Internet, natural fancy color diamonds have become the “must have” accessory. And sitting atop the fancy color diamond “heap,” which includes colors such as yellow, red, gray, blue, black, orange, green, champagne, purple, pink, white, chameleon, and violet, is pink. 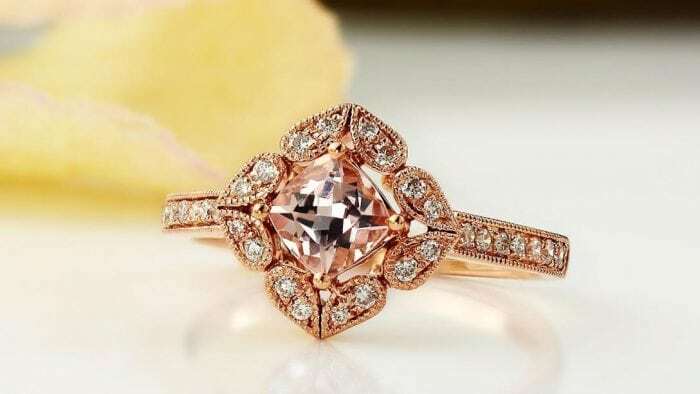 Pink diamonds are the most sought after and popular of diamond colors, especially for those who have decided that they want a colored diamond engagement ring. 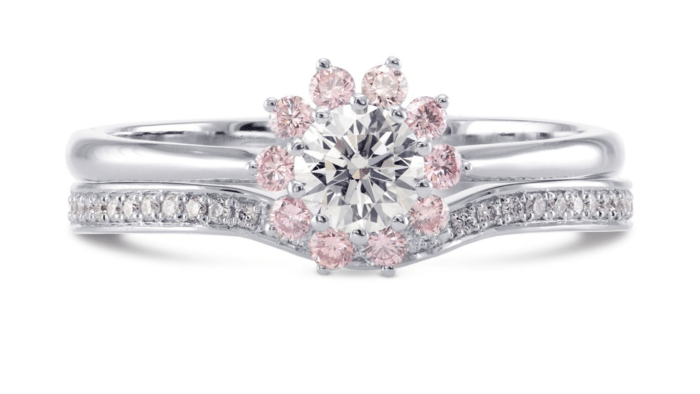 And who wouldn’t want a pink diamond engagement ring? After all, it would be putting you in some pretty good company – think J-Lo, Mariah Carey, Anna Kournikova, and Kate Bosworth to name a few. 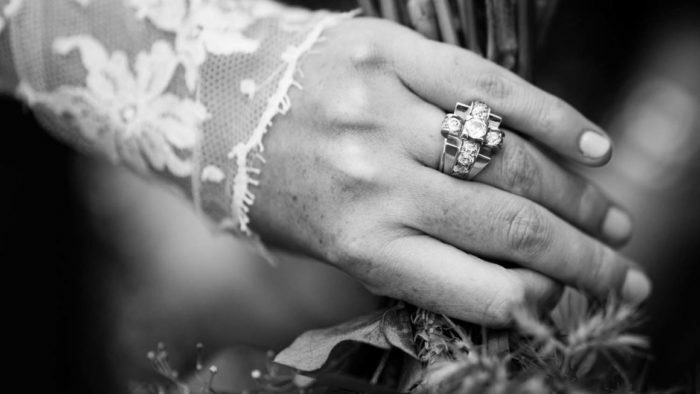 And chances are that you won’t be running into someone when out and about with a similar ring because pink diamonds are rare and getting rarer. It is often said that colored diamonds are 10,000 times rarer than colorless diamonds, but even amongst colored diamonds, not all diamonds are created equal. To get to the number 10,000 which is an average, it means that some colors are “only” 500 or 1,000 times rarer than colorless diamonds yet others may be 50,000 rarer. For example, red, violet, and purple diamonds are exceedingly rare and finding large examples of such stones is nigh on impossible. Pink, blue, and green are also extremely rare and can fetch prices exceeding USD2 million per carat at auction for the finest examples. Don’t be fooled by the sub-heading, nothing could be further from the truth – at least when it comes to the demand for and popularity of pink diamonds. The reference is to the supply of these very rare stones. Pink diamonds are rare and getting rarer by the day. The world’s most highly sought after pinks is the Argyle Mine in Western Australia which has been slated for closure in the next few years due to the consistently reducing grade of the mine which will eventually make it uneconomic to mine. For the time being, there is no pink diamond mine on the horizon to take Argyle’s place. And given the fact that it can take a decade or longer to find a mine and bring it into production, pink diamonds are not only highly sought after for engagement rings but also as an investment. So, should your fiancé not want to go to the extra expense of a pink diamond engagement ring, try appealing to his logic by showing him the investment case behind the ring before using your womanly charms to get what you want. We have already established that colored diamonds are currently in great demand due to a growing public consciousness derived predominantly from seeing their favorite celebs wearing them; however, could it be that this is just another passing trend? The fact is that colored diamonds have been in great demand for centuries. Colored diamonds are represented in the jewelry collection of almost every, if not every, royal family and have been prized for centuries by those with the network and the financial wherewithal to know they existed. Remember, TV and the Internet are much more recent innovations than colored diamonds. The public at large is only starting to know that colored diamonds exist let alone learn about them. Just ask your friends what they know about pink diamonds if you need evidence of this. 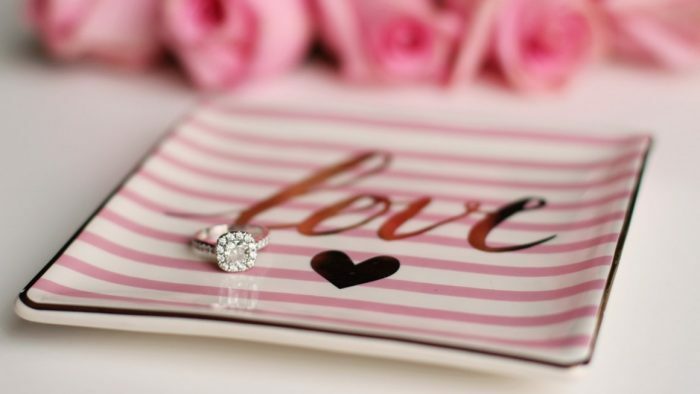 A pink diamond engagement ring can be a costly investment. And just as you wouldn’t buy a luxury car from your local grocer, it is imperative that you find a reputable jeweler for your pink diamond. Many jewelers are branching out into the colored diamond space but few have the expertise and knowledge required to truly fulfill your needs. Remember, colored diamonds are a very specialized field and just because a jeweler has a few rings in stock with colored diamonds doesn’t mean that they really understand the space. Dealing with a well-established and reputable colored diamond merchant is your best guarantee of finding the pink diamond engagement ring you want for the price you want. They will guide you and educate you in your decision-making process and ensure that your life is forever saturated with color.